Pokemon Pearl Version (AKA ポケットモンスターパール Pocket Monsters Pearl in Japan) is a role-playing video game developed by Game Freak and published by Nintendo for the Nintendo DS (NDS) handheld console in 2006 along with Diamond Version. Notably, the game features the series’ first dive into the online experience by allowing players to trade through the Global Trade System as well as battle with players all over the world. 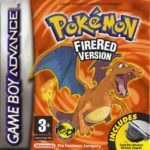 You no longer need to buy the other version of the game or connect with a friend who has it to complete all the Pokémon in the game. 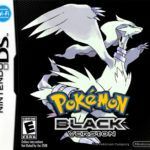 For those who own a DS with backward compatibility, you could hook up GBA cartridges of the previous games to be able to catch classic monsters. However, this feature is only available post-game, making it redundant for anything other than completing your collection. After all, some types of Pokémon are more useful in the early run of the game. For the first game on a new generation console, Pokémon Pearl Version is a well-packaged RPG with tons of features that translate into a great replay value. If you’ve been following the franchise for a while, you’ll know how the graphics and sound department are directly influenced by the older games. While these elements of the game don’t really showcase the original NDS’ hardware capabilities the developers were able to recreate the same charm that the Pokemon games possessed. The art is defined by a mix of 2D and 3D, friendly to the eye but not entirely optimized for the device, while the new musical pieces may come off as forgettable, excluding those recycled from previous titles. The main story is considerable lengthy, but the side quests available make it more engaging than most linear RPGs. Players can enter in contests where they can dress up their Pokémon, go fishing for water monsters, explore the underground area of Sinnoh, and raise berry plants which grow in tune to the game clock. Also, players can use the Poketch feature to access apps where the player can manage everything they do in-game and more, such as in the form of a pedometer and an item finder. Expect a lot of walking around the map in this game. With the revamped Pokémon moves, the players now have more options. Move types are redefined as either physical or special as they branch out. Yet the pace of the battle system is still as slow as before. More experienced players find it easier to tire out from all the repetitive animations and effects. But thanks to the introduction of online play, battles are more competitive in the series. Previous games only had the Battle Tower, where you could battle computer-controlled trainers using downloaded of other trainers. The game adds the first version of Wi-Fi battling with other players, emphasizing the need to strategize and train your Pokémon—all the more challenging and fun! 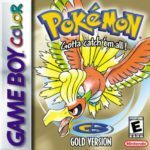 Overall, Pokemon Pearl Version is a great place to start if you’re looking for worthwhile and unique Pokémon experience that can hold its own even after the game’s life cycle on the market. There’s not much of a difference between this version and Pokémon Diamond, aside from the types of monsters you are able to catch and minor changes in the story. Just make sure to try out all the features if you want to have richer experience with the game. Pokemon Pearl Version game has only been ported to Nintendo DS (NDS).